Stunning, impeccably maintained, one owner condo in the desirable Willmore Place Condominiums in St. Louis Hills. You will be wowed by the open floor plan, spacious room sizes, secure building, convenient elevator, an underground climate controlled garage and private storage area. Additional features include 9 foot ceilings, 1,482 square feet, 2 bedrooms, 2 bathrooms, bamboo wood flooring throughout (wet areas excluded), white 6 panel doors, 42 inch white cabinets, stainless steel appliances, smooth top stove, microwave, dishwasher, added depth Kitchen sink with high neck pull out faucet, lazy susan, walk in pantry, private laundry facilities, Dining area, Great Room with 13 feet of windows and sliding door, large Master suite with 2 closets including a walk in closet, the master bath has double bowl, raised height vanities, separate tub and shower, hand-held shower head, ceramic til flooring in the bathrooms, ceiling fans, bedroom 2 has a 5 x 10 office/storage area as well as a closet, interior sprinkler system, wide doorways throughout, Hi Efficiency HVAC (new in 2017), 50 gallon water heater, freshly painted (2018) and so much more. This is an all electric home. There is an 18 foot wide deck off of the Living Room that overlooks the tree lined street and enjoys shade in the afternoon and evenings. You will appreciate nearby shopping, services, restaurants, parks and easy access to Hwys 55, 44 and 40. A monthly fee includes water-sewer-trash-some insurance-deck maintenance, building and common area maintenance (all per indentures). Gorgeous home, secure building, amazing location…so much to love! 6240 Sunshine Drive (MLS #18034180) is a 1 story condo/villa located in St Louis, MO. This condo/villa is 1,482 sqft with 2 bedrooms and 2 baths. This property was listed on 05/01/2018 and has been priced for sale at $189,900. The 2 bedroom condo/villa at 6240 Sunshine Drive in St Louis is comparable and sold for $190,000 on 05/22/2018. 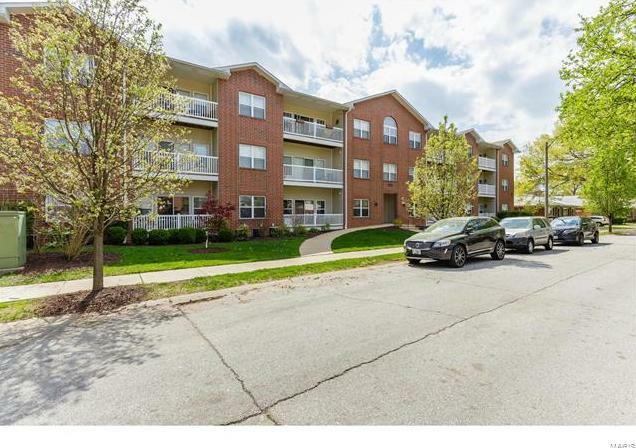 Another comparable 2 bedroom condo/villa , 6240 Sunshine in St Louis sold for $190,000 on 08/03/2018. Nearby zip codes are 63116, 63119, 63123, 63125 and 63139. This property neighbors other cities such as Affton, Bella Villa and Shrewsbury.